Wil Wheaton is an American television and movie actor who is probably best known for his role as Wesley Crusher in the television series Star Trek: The Next Generation. More recently he has portrayed himself in a recurring role on the CBS sitcom The Big Bang Theory. He was born Richard William Wheaton (III). Wil Wheaton is a direct descendant of Mayflower passenger Francis Cooke. He has kinship to the current royal family through a connection to Princess Diana. U.S. Presidential kin include William Howard Taft, Ulysses S. Grant, Franklin D. Roosevelt, and both Presidents Bush. 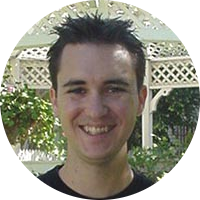 Wil Wheaton has a number of fellow celebrities that are in his family tree including, but not limited to, Christian pop signer Amy Grant, actor Henry Fonda, Chef and TV personality Julia Child, actor Anthony Perkins, folk singer Peter Seeger, actor Vincent Price, and possibly actress Marilyn Monroe. Literary kin for Wil Wheaton include poet William Cullen Bryant, author Horatio Alger, and author Laura Ingalls-Wilder.